Not being able to fall asleep is a common problem in our society today. Even celebrities suffer from it – with George Clooney, Mariah Carey and others admitting to having trouble getting a good night’s sleep. In our previous posts, we’ve covered several ways you can sleep better – including avoiding caffeine at night, staying away from alcohol before bedtime, and not smoking or consuming tobacco before turning out the lights. But one thing we didn’t cover is how to actually fall asleep faster – something millions of people today continue to struggle with and at times even find impossible to do. There is no shortage of reasons why people can’t easily fall asleep at night. Stress, depression, anxiety or any number of other issues are preventing us from getting the rest we need each night. And this problem doesn’t seem to be going away anytime soon: a full one-third of Americans say they lie awake at least a few nights a week, and 50-70 million adults in the US have a known sleep disorder. But not all is gloom and doom, and good news lies ahead…Sleeprate has the secret sauce for how to fall asleep faster and get the rest you need for a healthier, more productive life. Many people will have trouble sleeping at one time or another. Insomnia is so common in the U.S. in fact, that 30 to 40 percent of American adults experience some symptoms of insomnia each year. For example, some people with this sleep disorder worry so much about their insomnia and being tired the next day, that they learn to become anxious and tense as bedtime approaches. They might have racing thoughts that all relate to insomnia and trying to fall asleep, and as they worry about falling asleep, they become more and more tense, which makes it less likely that they’ll be able to actually fall asleep. But if sleep problems become a regular occurrence and start to interfere with our daily lives, sleep disorders can start to take a serious toll on our mental and physical health, leading to weight gain, memory problems, and loss of energy and productivity – among other problems. And people complaining of fatigue could have any one of numerous medical, neurological or psychiatric disorders, such as depression, anemia, and chronic fatigue syndrome – just to name a few. In our Sleeprate Knowledge Base, we talk about some of the common sleep disorders out there today, and how a wide variety of factors can affect our ability to fall asleep. One thing we covered is that sleep disorders can be the result of an illness that isn’t directly the result of a faulty sleep-related function; for example, any disease that causes pain could lead to very significant sleep problems, and mood disorders such as increased anxiety or depression can result in difficulty falling asleep as well. 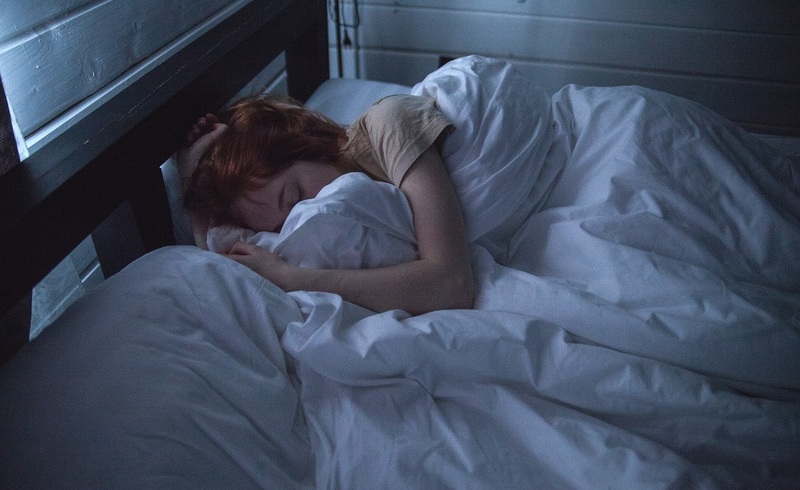 In a recent Sleeprate post, we also discussed some of the causes of poor sleep, including the fact that 70% of poor sleep is caused by psycho-physiological issues. Most of these issues are referred to as “insomnia”, although there are some sleep disorders that have a similar source of characteristics and manifest themselves in different ways as well. If you feel your sleep is poor and not refreshing, struggle to fall asleep, spend a long time awake at night or wake up earlier than needed, feel tired or sleepy during the day, or are worried about your sleep, Sleeprate provides valuable insights regarding your problems, detects the roots causes of your sleep troubles, and guides you step by step on how to solve your sleep difficulties. Sleeprate has a variety of solutions to get you back on track and help you learn how to fall asleep fast. The Sleeprate sleep improvement program measures your sleep to get a baseline sleep assessment, then customizes a sleep improvement program to help you reach your sleep improvement goals. Using a sophisticated algorithm based on heart rate variability, Sleeprate will determine exactly how long it takes you to fall asleep every night. It will then guide you through a step-by-step program where you learn techniques that enable you to fall asleep faster and have a better quality sleep. The sleep improvement program, called Cognitive Behavioral Therapy for Insomnia (CBTi), was developed at the Stanford University Sleep Clinic and adapted by Sleeprate. Sleeprate assists you to overcome barriers on your journey to better sleep. If your sleep is out of sync with your daily life around you, Sleeprate can help you reset your sleep-wake schedule to fit your needs. Moreover, if you feel that your days are too short, give up sleep to achieve more, or simply want to be sharper, more productive and more relaxed, Sleeprate can help you achieve it all, by helping you fall asleep faster and getting the right amount of good sleep you need. At Sleeprate, we not only help you with ways to fall asleep faster. Our advanced sleep monitoring and assessment creates the most reliable, effective, and best sleep tracking solution available today. SleepRate’s core technology utilizes behavioral sleep medicine practices developed and implemented at Stanford University’s Behavioral Sleep Division. Our unique sleep evaluation solution for better sleep-life balance was developed and customized as a step-by-step program to improve mental and physical performance, so that people can be more productive and effective each and every day. Sleeprate provides world-class technologies that offer people anywhere and everywhere the most effective, reliable and user-friendly sleep analysis, monitoring, assessment and improvement programs – all in a single solution. Sleeprate’s comprehensive all-in-one solution helps people achieve a better sleep-life balance and improve mental and physical performance – giving them the opportunity to be more productive and lead a healthier lifestyle. To learn more about Sleeprate and how we’ve helped provide the most innovative and sophisticated sleep treatment solution in the market today, visit us at You can also download our Sleeprate app (available in the Play Store and App Store), for in-depth insights into the different stages of your sleep, including the ability to see the amount of time you spent in different sleep stages and when they occurred.